Over the last 20 years there has been a revolution in cosmetic surgery. Injectable fillers have become the most popular cosmetic treatment, surpassing all surgeries. Indeed these fillers have replaced facial rejuvenation surgery in many cases and have caused the volume of facelifts operations to drop over the past several years as fillers have gained popularity. However the nose is an exception, Non Surgical Rhinoplasty is only a small part of rhinoplasty. The revolution started in Europe in the 1980’s and spread to North America in the 1990’s. There are and have been several various types. 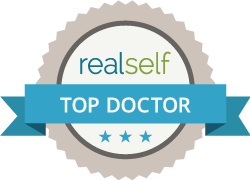 Currently the most popular are Restylane and Juvederm. Others that are less popular or whose use has peaked for various reasons are Artecoll, Prevelle, Evolence, Radiesse, Perlane and Sculptra. With rhinoplasty, tissue fillers have been slower to arrive and have had less impact on the way physicians practice. Cosmetic treatment of the nose remains mostly surgery. There are a few specific indications where non surgical rhinoplasty with tissue filler is preferable to surgery however. There are three types of noses where non surgical rhinoplasty by injection is a reasonable alternative to surgery. People with a nasal dorsal hump are often good candidates. For the best improvement there should be no other changes needed, since surgery could manage these and fillers can’t. The hump should ideally be small, as any filler used causes the nose to be larger. This is also the reason average to large noses are often poor candidates for fillers. People with low nasal bridges are usually good candidates. They often also have thicker skin again good for fillers. In these cases enlarging a nose is of benefit and desirable. Instead of surgically inserting a silicon dorsal implant, filler can create the same appearance. This option is most useful for Afro-Canadians and Orientals. Some people with a crooked nose after trauma can be improved with fillers. Not all bent or twisted noses are helped. It’s the nose that is overall straight or near enough to the midline that the deviation isn’t appreciated, but has a bend in the middle. The very best indication is a depressed sidewall while the other side has remained straight. There are several clear advantages to a non-surgical rhinoplasty compared to the classical rhinoplasty. The procedure is less expensive initially. It can be done awake without local anesthetic or sedation. It can be done right in the office. There is no preparation, thus avoiding scheduling, seeing your family doctor, blood work, fasting after midnight. Also there is no recovery time. People can literally return straight back to work that day. The accuracy of a non-surgical rhinoplasty is significantly better. Predicable results of 0.1mm can be achieved, compared to a millimeter with rhinoplasty. Another advantage is the ability to monitor the changes as they are happening. The surgeon can easily stop, hand his patient a mirror and together decide the next step. Finally in the event the result isn’t what was anticipated, over time it goes away. In this fashion a liquid rhinoplasty is similar to a haircut or makeup. The results are temporary. Some people notice their nose droops when smiling, laughing or talking. When the tip droops to an extreme degree, people dislike the ‘witches nose’ appearance it creates. The cause is two nasal muscles called the Depressor Alae Nasi and the Levator Labii Superioris Alaeque Nasi. They are both long names for small muscles! The former pulls the nasal tip down and the latter pulls the sides of the nose up. The combination of the two actions makes the nasal tip appear to tilt down. The Levator muscle can’t be modified, as this could cause nasal blockage. However by strategically placing a few units of Botox into the Depressor Alae Nasi, the downward pointing of the nose during animation can be reduced, sometimes eliminated. This should only be performed by experience injectors so the lip muscles aren’t inadvertently paralyzed. At the time of surgery this muscle can be cut to achieve the same effect but permanently. In the rare case where no rhinoplasty is performed, the Depressor can be cut though a small incision in the inside of the mouth above the front teeth. It’s an uncommon problem, but annoying to those who have it. The temporary nature of a tissue filler is also one of its major disadvantages. Regular top ups are needed to maintain the improvement. This can be as short as 3 months or as long as a year, with the usual interval being around 6 months. Many improvements just can’t be obtained using a filler. The cost eventually becomes greater than the standard rhinoplasty as the follow up injections and the cost of syringes slow mount up. The two commonly used soft tissue fillers for an injection rhinoplasty are Restylane and Juvederm. They are both Hyaluronic acid products. Hyaluronic is a soft gel like substance naturally found throughout our bodies. It acts as the ‘glue’ between our cells and as a protective rapping. The duration of the filler is modulated by the degree of cross linking between the microscopic material.